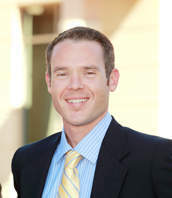 SANTA CLARA, CA--(Marketwire - February 2, 2011) - Nicholas Sandersfeld has been selected by Swinerton Builders Silicon Valley to expand their business development efforts in the region. In his new role as Business Development Manager, Sandersfeld will enhance Swinerton's position within the real estate development industry and in the South Bay community at large. He will be charged with cultivating new business relationships and positioning the division for serving the next wave of valley development in the coming years. Before joining Swinerton, Sandersfeld performed several Marketing and Business Development roles for Taisei Construction Corporation. Prior to his work in the Bay Area, he worked on the single-family residential side of the industry in the Midwest, followed by the products side for window and door giant Jeld-Wen, Inc. in Oregon and California. Sandersfeld brings to Swinerton an unmatched drive, intensity and passion for promoting construction services. With a deep belief in sustainable construction initiatives, Sandersfeld is a LEED® AP and member of the USGBC in addition to NAIOP, SMPS and IFMA. A resident of Los Altos, California, Sandersfeld is committed to the Silicon Valley community and participates in various community organizations including the Mission City Community Fund. He holds Bachelors of Science Degrees in Marketing and in Natural Resource Ecology and Management - Forest Products from Iowa State University. Sandersfeld will be based out of Swinerton Builders Silicon Valley office. About Swinerton: The Swinerton Family of Companies provides commercial construction and construction management services throughout the Western United States and is a 100% employee-owned company. Recognized nationally since 1888, Swinerton has been building in the Silicon Valley and surrounding communities since 1948. As one of the top ten general contractors in the area for nearly 60 years, Swinerton Builders Silicon Valley is devoted to the region with a passion for delivering the highest quality product through innovation, integrity and experience. For more information on Swinerton, visit their blog SwinertonBuildsTomorrow, Facebook, Twitter, Flickr and LinkedIn.